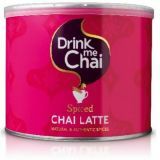 Drink Me Chai spiced chai is a fairtrade luxurious blend of sweetened tea, milk and exotic spices. Just add water or milk for a deliciously spiced drink. 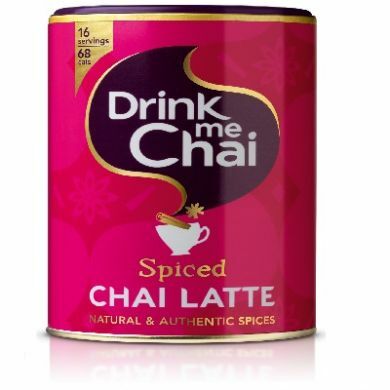 An instant blend of aromatic spices with skimmed milk and sweetened black tea. 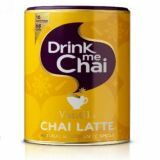 Chai Latte: Put 3 teaspoons of Drink Me Chai in to a cup. Add hot water and stir well. For an extra creamy texture use half hot water and half hot, frothy milk.